Slices of tomatoes and ginger, chopped coriander and a few whole green chillies for decoration. Remove the potatoes. In the same ghee add the onions and cook for a little time. Add the dhana-jira and chilli powder and fry again. Add the boiled channas and salt. 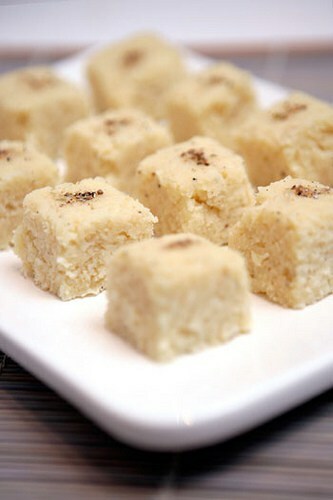 After 5 minutes, add the garam masala, amchur and black pepper powder and cook for 2 minutes. Add the potatoes and tomatoes and cook for 2 minutes. Garnish with coriander, chillies and slices of tomatoes and ginger. Put plenty of water to boil dal. Boil dal for 5 minutes and drain. Shape into balls with greased palm and keep aside. Make a paste with water, of flour for patching and keep aside. 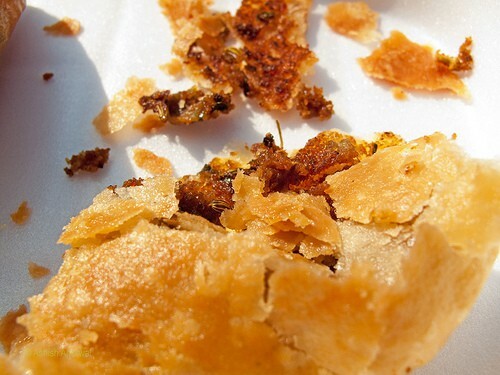 Fry till golden brown and crisp. Small bubbles must appear over kachori. Boil dal in plenty of water till soft but not broken. Drain in a colander for 10-15 minutes. Mash jaggery till lumps break. Mix well into dal. Put mixture in a heavy saucepan and cook till a soft lump is formed. Take care to stir continuously, so as not to charr. Keep aside. Mix ghee, flour, add enough water to make a soft pliable dough. Take a morsel sized ball of dough, roll into a 4″ round. Place same sized ball of filling in centre, life all round and seal. Reroll carefully to a 6″ diameter round. Take on serving plate. Apply a tsp. of ghee all over top,or Shallow fry on griddle like a paratha for a better flavour. 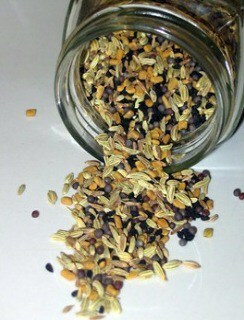 Tip : Panch Phoron is a classical spice mix used in tempering. Take a bowl and mix the flour,water,salt and make stiff dough. Cover the dough and keep it for 30 mins restly. Then divide the dough into small balls. Now take the ball and slightly dip into the oil or ghee and roll it in a flat surface. Now take the kadai and pour oil. Heat the oil and leave slowly the round shape rolled dough into the oil and fry it for few seconds. Then turn other side with the spatula and again fry until golden brown colour appears. Then remove from the kadai. Add the dry yeast and sugar to the warm water and stir till the yeast is dissolved. Cover and leave it 10 minutes. Mix the flour and salt into a large mixing bowl. Now add the yeast mixture, ghee and yogurt. Mix all into a soft dough and knead about 15 mins. Grease a large bowl with a few drops of cooking oil and put the dough in it and cover with a clean cloth and allow resting for about an hour till it doubles in size. Punch down and knead again and let it stand for another hour. Divide the dough into equal size and roll between your palms. Pre heat oven to 450 ºF.Now take a round shape ball and roll out into a round shape with your hands. Naan is not rolled out with rolling pin. Instead, it is rolled out by hand to a round, oval or triangular shape. The thickness of Naan is about ½ inch. Brush the top of the rolled Naan with melted Ghee. Put the Naan on the baking sheet. Peel and cut the banana into medium size pieces. Now blend the banana pieces with little amount of milk. 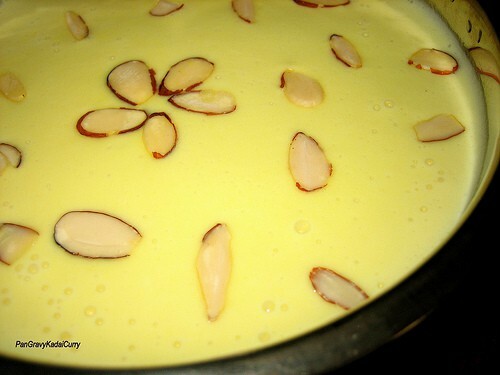 Now add remaining milk, sugar and a pinch of cardamom powder. Once again blend it well. Transfer the banana milkshake into glass. 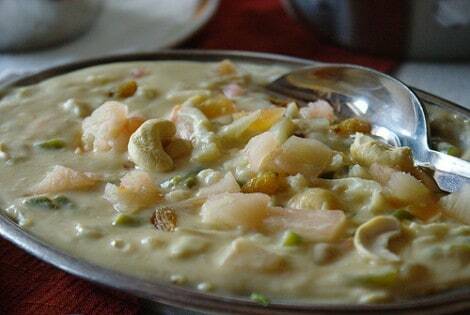 Finally garnish with chopped almonds, pista, cashew nuts and saffron.